and communicator who is also capable of managing the operations of a small but complex organization, including fiscal responsibilities and human resource development. The President & CEO will be able to cultivate and strengthen partnership with PK-12 schools, districts, state and federal agencies to facilitate the Center’s work and engage in development/fundraising as needed. This is a 12-month position. The President & CEO leads a small, highly qualified and professional staff in all facets of operations and is responsible to the Center’s Board for strategic visioning, planning, and continuous improvement of Center activities. The President & CEO leads or assists in the development and delivery of services to schools, district, and educational agencies year-round including on-site training and coaching, a Fellows Program directed at the improvement of principals and assistant principal’s practice, an aspiring leaders’ program, and technical assistance to schools and districts on a contract basis. • Demonstrate not less than 10 years of successful experience in school leadership. 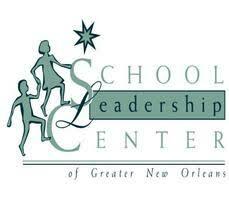 THE SCHOOL LEADERSHIP CENTER IS AN EQUAL OPPORTUNITY EMPLOYER.